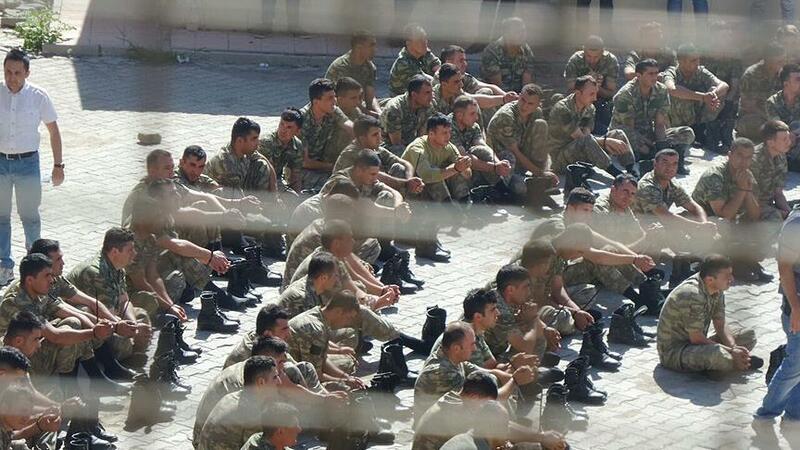 İstanbul Public Prosecutor’s Office issued detention warrants on Friday for 523 military members from the Turkish Armed Forces, including high-ranking officers, due to their use of a smart phone application called ByLock. According to state-run Anadolu news agency, Turkish police raided on Saturday morning some 50 houses in Istanbul as part of an investigation pursued by three Turkish prosecutors — Gökalp Kökçü, Mesut Erdinç Bayhan and Can Tuncay. The prosecutors claim that ByLock is the top communication tool among members of the faith-based Gülen movement, which the government accuses of masterminding a coup attempt on July 15.